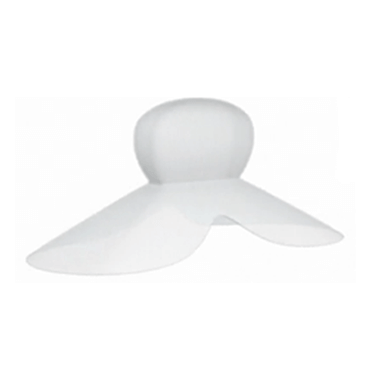 SnoreMeds mouthpiece only works for snorers with oral airflow obstructions. It is not suitable for nasal snorers, individuals with full dentures, snorers with teeth or gum disease, and children. Frequent side effects include jaw soreness, excess salivation, and sore gums. If used in treating obstructive sleep apnea, a doctor’s express approval is required. With so many snoring aids on the market today, it has become quite challenging to find a device that really works. There are some exquisite options, but the problem is that they are usually very expensive. When you have to use a device that has a short lifespan, you simply have to think about the cost. 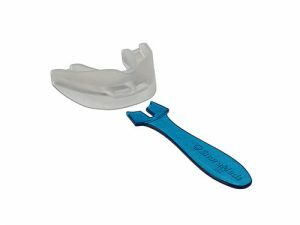 Fortunately for people who are looking for effective and affordable anti-snoring mouthpieces, we’ve written this SnoreMeds review. SnoreMeds was designed to stop snoring by repositioning the jaw, holding it in a somewhat forward position while you are sleeping. In other words, this contraption is best known as a mandibular advancement device (MAD). 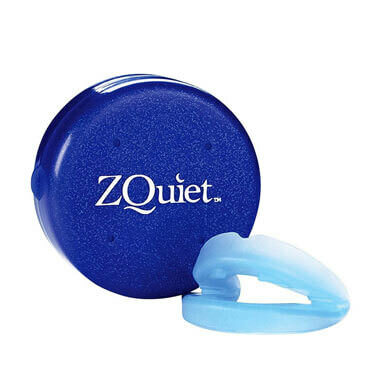 Though this particular device is similar to others in the industry, it will clear your airway and make breathing easier for you, which will stop you from snoring. If the position of your jaw is what’s causing snoring, you’re in luck. SnoreMeds will widen your windpipe and solve your problem. However, if your tongue’s position is responsible for all the noise, the device might not be that great for you. On the other hand, few snoring contraptions can solve both issues at the same time. As far as customization is concerned, SnoreMeds uses the boil-and-bite method that enables you to mold the device to your teeth. This is a straightforward process that won’t take more than five minutes. Also, you can go through the process twice, which means that you can try again if something goes wrong the first time. Another useful feature of the product is that it has two air holes which allow people who breathe through their mouth to use the device. The mouthpiece can be purchased in two different sizes, small for women and regular for men. Keep in mind, though, that you should pay more attention to the size of your mouth that to your gender. Some women might benefit more from the regular size mouthpiece. Likewise, some men may opt to purchase the small size device. The main purpose of this SnoreMeds review is to show its uniquely high quality, although it may look quite similar to other anti-snoring devices. SnoreMeds has been around for nearly ten years, which speaks a lot about its ability to meet the needs of snorers around the country. Moreover, it’s more comfortable than other, similar contraptions. Chances are that you’ll feel some discomfort in the beginning, but this is normal during the adjustment period. When you get used to the device, you’ll barely notice that it’s there. The device comes with a spatula that can be used to ease the boil-and-bite process, as well as to clean the mouthpiece. Like many other mouthpieces designed to reduce snoring, SnoreMeds requires some molding before the first use. This is done in order to allow maximum comfort and efficiency of the device. 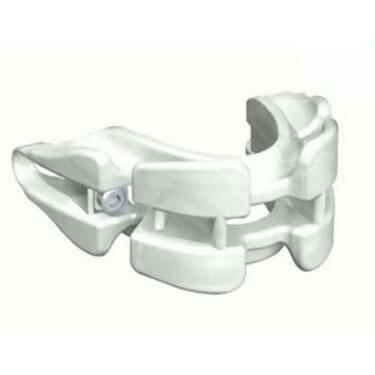 If you don’t mold the device so that it perfectly fits your jaws and teeth, it will not only be very uncomfortable to wear but also less efficient. Fortunately, molding the device is very easy and can be done in a matter of minutes. You will need a pot and some clean water, a stove or other source of heat, a flat surface near the stove, a container where you will submerge the device, and a timer (watch, clock or cell phone). Bring the water to a boil and remove from heat. Fit the spatula that came in the package firmly into the mouthpiece and hold the device in the upright position. Pour the hot water into the container and submerge the device holding it by the spatula. The material will become soft and clear. After some 15 to 18 seconds, remove the device from the water and wait until it is cool enough for you to put it in your mouth. Stand in front of a mirror and place the device into your mouth, still holding it by the spatula. Fit the mouthpiece onto your lower teeth first and then gently bring your upper jaw down. Move the lower jaw forward by some 3-5mm and then bite down hard. Press the outside of the mouthpiece with your fingers so that the material fits perfectly against your teeth. Push against the back of the mouthpiece with your tongue to press all the air out. Hold this position for a minute or so. Make sure you press hard enough to make the perfect impression of your teeth. Remove the device and rinse it under cold running water for a minute or so. The material will harden and your device will be ready for use. Allow it to air-dry on a clean paper towel or a kitchen rack and then place it in the protective case. Boil some water, remove from heat, then submerge the device. Hold under water for 15-18 seconds. Put the device in your mouth, bring the lower jaw slightly forward, and bite down hard. Hold for a minute, then take out and rinse to cool. SnoreMeds is not an expensive mouthpiece. You can purchase one device for $94.95 or two pieces for a mere $59.95. What’s more, if you like the device and want to continue using it, you can buy a four-pack for just $70.90. It really doesn’t get much cheaper than this. Since you can use each mouthpiece for four months, purchasing four at once will definitely save you a lot of money. The company provides a 45-day money back guarantee on single packs, so you can receive a full refund if you aren’t satisfied with the product. If you are still unsure if SnoreMeds is right for you, check out the key advantages and flaws of this snoring aid. Our SnoreMeds review presented an anti-snoring solution for individuals with a somewhat limited budget. Though the device is effective in most cases, it might not be the best solution for people whose tongue is causing the problem. Still, you can always try the mouthpiece and see whether you like it or not – if you aren’t satisfied, you’ll get your money back. One thing’s certain, you won’t find a product of this caliber at a lower price. Our ratings are the result of an objective and independent evaluation of SnoreMeds, generating the final rating that reflects the overall quality of the company. Ratings may change as the product introduces changes. SnoreMeds user rating based on 8 user reviews. I like that someone has finally listened to reason and set a reasonable price for a snoring aid. I started using snoremeds and it helps - though the snoring is still there. It’s good that I could reshape the product twice because the first attempt didn’t end too well. As for its effectiveness, it’s doing the trick to some extent. I can breathe more freely than I could with my last snoring piece. My jaw hurt a bit when I started using it, but the pain stopped after 4 or 5 nights. All things considered, not bad for a snoring aid. I bought this device, but it didn’t solve my snoring problem. I had a long period of adjusting to this snoring aid and my jaw was suffering for a couple of weeks. After that, when I got some sound sleep, my partner told me that I basically don’t snore anymore. All in all, I’m more than satisfied. We found 0 verified SnoreMeds discounts for April, 2019. There are no SnoreMeds coupons or discounts right now. 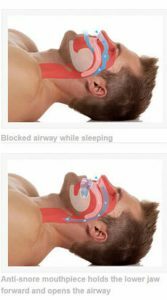 In order to be sure that SnoreMeds truly is the best solution for your snoring troubles, you need to know what makes it superior or inferior to its alternatives. 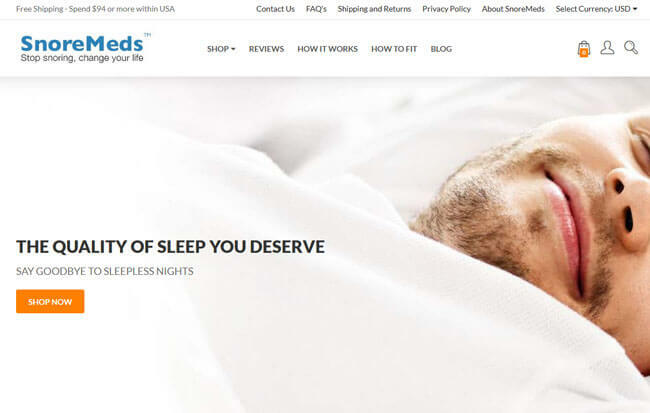 Discover how SnoreMeds compares to other popular snoring aids of its kind with our detailed feature and price comparisons and easily determine whether you are making the right choice.